A box of all things babyguy! The absolute best goodies for kids, delivered. 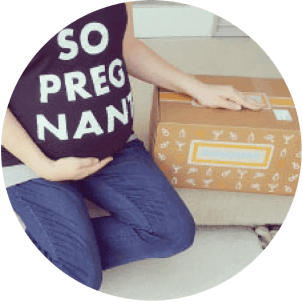 Innovative products for babies, toddlers and preschoolers, curated by Jamie Grayson, “the Baby Guy” and his super-mama sister, Jennifer – packed up nicely and shipped to your door. Always approved by The Baby Guy and his sis Jennifer, mom of four! We love to see our tiny customers exploring new toys and baby gear as they peek into a new #babyguybox! Who is the Baby Guy? Armed with an Angry Baby and no filter, Jamie Grayson (The Baby Guy NYC) has become one of the most well-respected authorities in the baby gear and child safety space in the past five years. 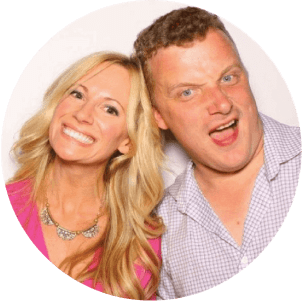 After 4 1/2 years as a product demonstrator and personal shopper at BuyBuyBaby, and one year at one of Manhattan’s top birth education centers, Jamie Grayson now spends his days reviewing baby gear, moderating a social media audience of over 250,000, traveling the country speaking at expectant parent events such as Gearapalooza, Nordstrom, and MommyCon... and drinking coffee. Lots of coffee. And wine. Let’s not forget that. 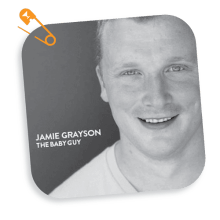 Now, Jamie brings his unique expertise and personality, as well as the influence of his supermom sister Jennifer to the BabyGuyBox experience! Every single item in our #babyguybox is approved by Jamie and Jennifer, gurus in the field of kid gear and parenting. 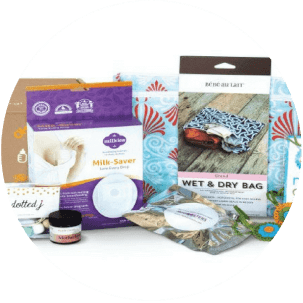 We can’t wait for you to join our community as a BabyGuyBox subscriber. It’s always a fun ride, and isn’t that what life with kids is all about?